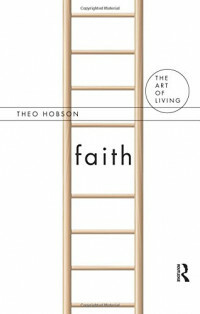 In "Faith", the theologian Theo Hobson explores the notion of faith and the role it plays in our lives. He unpacks the concept to ask whether faith is dependent on religion or whether it is also a general secular phenomenon. In exploring this question Hobson ranges widely over theology, philosophy, politics and psychology and engages with the writings of Christian and atheist thinkers alike. The book begins by considering attitudes to faith in recent works of atheism. Hobson shows how Richard Dawkins and other writers, while attacking faith in one sense, have exhibited faith in another. The book goes on to explore the wider meaning of faith, including our faith in free-market capitalism, the part faith plays in democratic politics and the role faith has in our psychological well-being. To understand the role of faith in modernity, Hobson argues, we must attend to the specifically Christian concept of faith. Hobson then returns to the religious meaning of faith by exploring the account of faith in the Bible and charting the tension between faith and reason in Christian thought. The final chapter takes an autobiographical turn and relates how the author came to take faith seriously and to question what Christians are meant to have faith in. From the Old Testament story of Abraham to the visionary poetry of W. B. Yeats, from the polemics of Luther to the rhetoric of Barack Obama, the author presents us with a fresh and illuminating meditation on the nature of faith. In doing so, he reveals how trust and faith, the religious and secular, are utterly entwined and how the attraction of religious faith outweighs the intellectual difficulties it presents.